Humanity is undergoing revolutionary change. The world is shrinking, and the current state of politics, morals and ethics are no longer adequate as tools in which we can successfully navigate the challenges of today. Whether it is medicine, science, economics or psychology, every facet of civilization is affected. Like the natural world that progresses in stages around us— examples of which include changes of season, transitions from seeds to fruit and the caterpillar into butterfly—humanity likewise passes through stages of development as well. From the infancy of humanity to present times, prophecies from every culture have predicted the arrival of a long-awaited stage of maturity. There are many indications that we are on the cusp of the most profound, collective transition ever experienced, a change that heralds the inevitable and promised fulfillment of these prophesies, and the ultimate unification of the planet. The implications of these revolutionary changes, this collective transition from an age of turbulent adolescence to the first indications of the coming age of maturity deserve exploration. This paper investigates such implications for the future of the world, of psychology in general, and psychotherapy in particular. 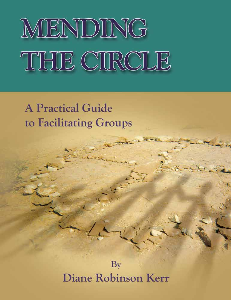 It examines a recognition and greater level of respect for the human psyche, the soul/spirit and consciousness that this revolutionary change demands. 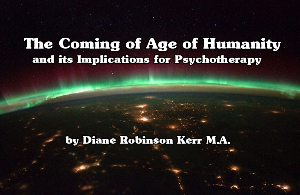 It explores how psychotherapy will need to evolve in order to both serve this new world and assist in its transformation. It is time for a new and more profound worldview, one that not only appreciates the beauty inherent in diversity, but one that honors the intrinsic spiritual nature of humanity while maintaining an unshakeable consciousness of the power of unity.